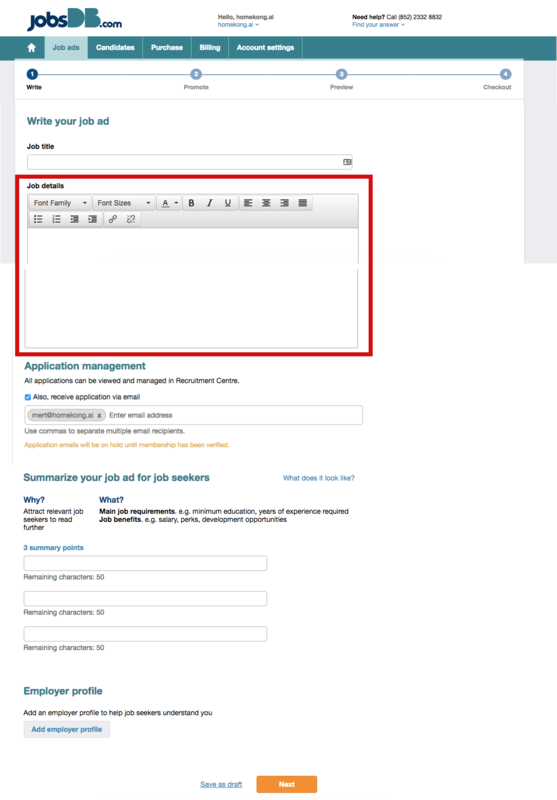 You will be prompted to write and post details of the Job Description in the highlighted section. Post the VideoJD link you captured on the CANOPY website onto the top of the text you are going to insert. Once completed - proceed to click next until you post the ad on JobsDB.